It’s often one of the tensest moments of an action or suspense film: The hero manages to gain access to a room full of servers, often by some spectacular or complicated plot. He or she maneuvers through the room, attempting to locate the exact machine that contains the evidence needed to stop a nefarious plot to take over the world, or to steal millions of dollars from a criminal warlord or some other noble cause. 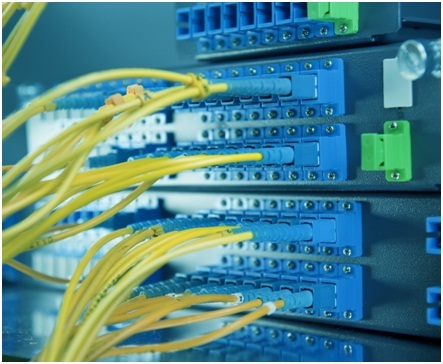 Once the machine is located, all it takes is switching a few cables or connecting another device and the deed is done. As you might imagine, what makes the makings of an edge-of-your-seat blockbuster aren’t exactly an accurate reflection of what really happens in the typical data center. Even the most advanced, high-tech data centers are, well, pretty boring places. And in fact, they are designed to be well-run, well-organized and secure areas where everything always works as it should without incident. In short, like so many other things, Hollywood gets a lot wrong when it comes to data centers. In “Mission Impossible,” Tom Cruise as agent Ethan Hunt gains access to a computer server by dangling from the ceiling via a wire — after gaining access to the building through a series of air shafts. In other films, characters have accessed data centers located in the upper levels of major skyscrapers (usually by rappelling or skydiving or other nonsense) or done complicated calisthenics through laser beams in order to access the servers containing vital information. You probably can guess that real data centers are far less dramatic. The best centers do offer 24-hour physical security, and are often protected by fences and security cameras. However, because the centers must be accessed by techs on a regular basis, they aren’t generally protected by booby traps, lasers or located in impossible to access areas. On a recent episode of the ABC television show “Revenge,” a character photographed a fingerprint on a glass using a smartphone, and then used it to gain access to a secure data room via a biometric scan. Other movies have shown equally preposterous means of using biometrics, from voice recordings to severed limbs. Real biometric security requires living subjects to work — so images or other forms of authentication won’t work. Security is a priority in data centers, and facilities often use multi-factor authentication and other protocols to restrict server access. In most cases, the actual rooms in which servers are stored are monitored 24 hours a day, and the security team keeps detailed logs of who enters and leaves the area. Perhaps the greatest data center myth perpetuated by Hollywood is the relative ease by which characters are able to access and redirect data. Not only can they easily locate the exact cabinet they are looking for quickly, it usually appears that one can accomplish a major security breach by simply plugging in a few cords or moving some wires. In “Ocean’s 11,” for example, hacker Livingston Dell is able to access an entire casino’s video feed by simply attaching a cable to the correct server. Never mind that there were literally hundreds of servers and thousands of cables in the data room — he knew exactly which one was the correct one for his plot. Again, data centers are designed to be as nondescript and bland as possible. In fact, without inside knowledge, most people would not be able to discern the difference between server cages. Only trained IT staff will know exactly which wires and cables perform which tasks in a server room, making it all but impossible for an outsider to come in and accomplish a specific task. Is This a Data Center or a Library? Some Hollywood productions have managed to get the look of a data center partially right. However, others have been almost comically bad in their designs. Most real centers feature many rows of server cabinets, all climate controlled and virtually indistinguishable from each other. Again, it’s unlikely that a criminal would be able to find the exact server he or she is looking for without help. In addition, data centers are rarely the darkened, silent areas that appear in films. They literally hum with activity, with plenty of light so technicians can complete their tasks without inadvertently plugging USB A into Port B and stealing all of the company’s secrets. Data centers are an important part of an efficient and high-functioning business, saving time and money while ensuring the security of data and hardware. Don’t let Hollywood misconceptions sway you from making the move to a data center in your business.